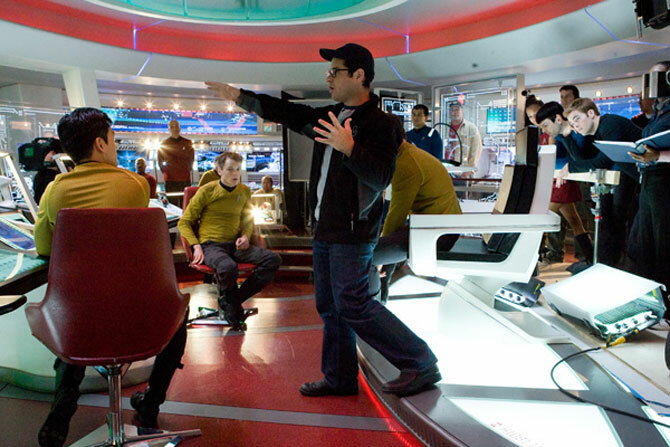 Sure, we all thought this was already a forgone conclusion — in fact, I’ll bet there are plenty of people who didn’t realize it wasn’t a done deal — but it’s now official that J.J. Abrams will be returning to direct the sequel to his 2009 Star Trek reboot. The sequel has been talked about pretty much since Trek‘s opening weekend back in 2009, when Paramount got the message that the franchise could still be a viable source of box office revenue. But until this week, Abrams had not committed to running the show. He’s talked about it a lot and given a number of possible release periods, as well as publicly stated that he’s waiting for the script to be right before settling on a release date (which sounds awesome in theory, but we’ll have to wait to see the finished movie to see if Abrams can be taken at his word). But he still wasn’t signed on as director. That makes the official announcement both a bit of great news and a total relief. Let’s face it; Paramount was going ahead with Star Trek 2 with or without Abrams, and I can only imagine the number of ways the sequel could go wrong with another filmmaker at the helm. That’s not to say that Abrams himself won’t blow it, but his track record with rebooting the original (and the fact that he made Super 8, still my favorite movie of 2011) suggests that he’s the best guy for the job — for now, at least. With all the set up out of the way and the pieces in place, I can’t wait to see where the next movie takes the new crew. The Star Trek sequel isn’t likely to hit theaters until 2013.